A simple way to add some wedding sparkle to your tables, this elegant confetti is part of the pretty Vintage Romance wedding range. 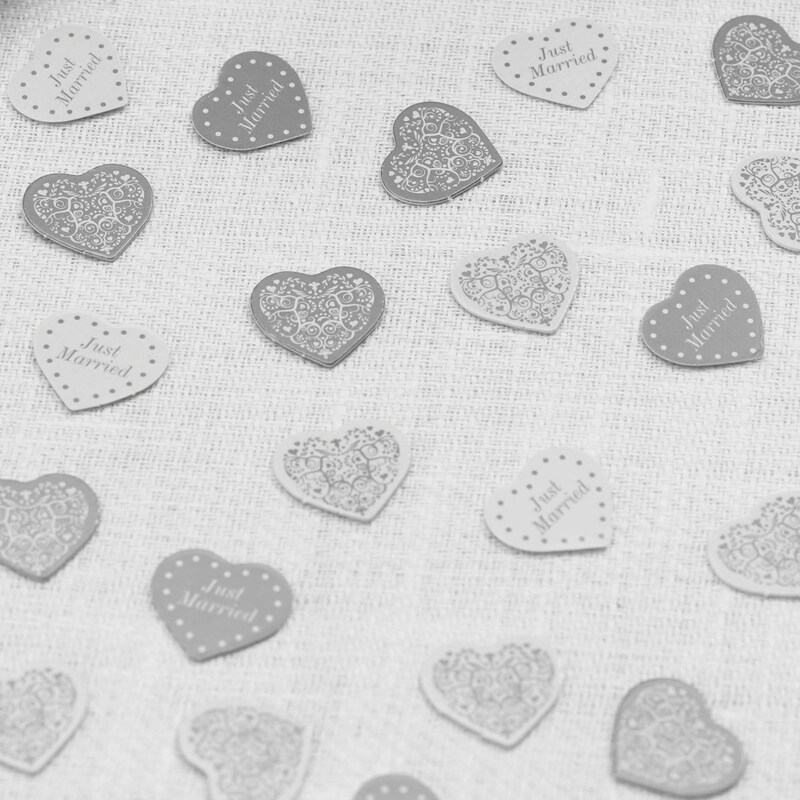 Each pack contains a mix of white and silver confetti hearts, inscribed with the words ‘Just Married’. Confetti can be used in the traditional way or included in your table décor – it looks gorgeous scattered over tables and compliments other pieces in the Vintage Romance range.